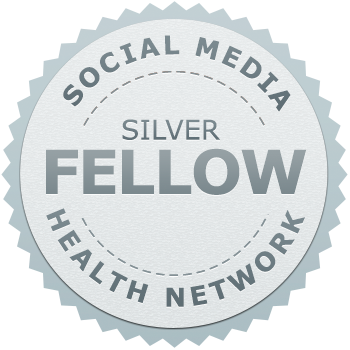 Many have participated in our Social Media Residency and quite a few have completed Bronze Fellow requirements. To date, only Lisa Ramshaw has achieved Silver Fellow status. I had the up-energy and downright fun experience of working closely with Lisa to finalize her mini-white paper: Creating a Social Media Revolution One Hospital at a Time (PDF). As Director, Communications & Marketing for the Australian Private Hospitals Association (APHA), Lisa creates and implements marketing and communications campaigns for 300 member hospitals across Australia. During this year's member meeting (Thursday, October 23) she'll talk about her social media efforts and accomplishments for APHA. Spoiler Alert: Lisa has been instrumental in organizing efforts to bring MCCSM wisdom and expertise to Australia in 2015 (#MayoinOz). Without giving too much none-of-your-beeswax info away, I'll add that I've now had the pleasure of rollicking conversations with Lisa via DM (direct message) on Twitter -- during a civilized hour for her in Australia and an absurd time for me in the USA. You'll find some of that intel about Lisa in this interview conducted via email (in which I've honoured her UK English spelling conventions). A small town in Michigan where there are more cows than people. After college I moved first to Washington DC, then to Sydney, Australia, then to London, England and for the past 10 years have called Canberra, Australia my home. I live there with my husband, my two gorgeous daughters, a dog, cat and three chickens. The variety! Over the past year I've given presentations throughout Australia about social media in healthcare. I also have a personal interest in mental health issues and love the fact that I can work on campaigns to reduce stigmas around mental illness. For the past 25 years I’ve worked in marketing and communications generally for international companies like World Wildlife Fund and Amazon.com and national organisations like the National Trust in the UK. In 2005 we returned to Australia and were posted to Australia's national capital, Canberra. A high proportion of jobs there are with the Federal Government and I’m not an Australian citizen, so when I saw the position at APHA, I jumped at it. It’s my first job working in healthcare but I doubt it will be my last! Like many people, I'm interested in new technology and innovation. When social media came around I first got involved to stay ahead of my children. I didn’t want to be a mum who couldn't understand social media and wanted the ability to provide guidance when needed. I soon became excited about the potential for healthcare, especially how we're able to magnify our messages cost-effectively but also with real connections to real people. As a global traveller, social media allows me to keep in contact with friends and family all over the world. And it enables me to have meaningful working relationships with colleagues around Australia and around the world. Attending Social Media Residency and Social Media Week in October 2013 a true highlight of my healthcare career. I loved meeting many people face-to-face with whom I'd previously been connected through social media. I loved the energy and the passion in the room whilst hearing and seeing excellent case studies of social media in healthcare. As someone who has experienced health care in both countries I definitely advocate for the Australian model of socialised medicine with optional private health insurance. We have both public and private hospitals here – everyone pays a Medicare levy through their tax which enables them to access high quality healthcare through the public system. Approximately half the population also have private health insurance which gives patients choice of doctor, choice of private hospital and timely access to healthcare. Every healthcare system has its pros and cons but I would take the Australian system over the US system any day. I think there is a lot of fear and lack of understanding of how social can be an effective healthcare communications tool here. Australia has a high adoption rate of social media generally, with more than 13 million Aussies on Facebook (out of a population of 23 million people) and almost 3 million active users on Twitter. Still, the healthcare sector lags behind others in adoption but opportunities for general education about strategies for social media in healthcare do exist. Since we've recently up-leveled requirements for receiving Silver Fellow designation and Lisa is our first, I asked her about the process. What advice do you have for anyone wanting to move from Bronze to Silver Fellow status? The Mayo Center for Innovation takes an approach of ‘Think big. Start small. Move fast.’ I think this is excellent advice when moving up the tiers from Bronze to Silver. Take time to think about your strategy and your objectives before writing a clear and concise plan. Start small and then scale. When you execute your plan be flexible. Things change as you go and you'll need to take that into account. Finally, don’t forget to celebrate your successes and learn from your failures. For a great model of what works, see Lisa's Silver Fellow project: Creating a Social Media Revolution One Hospital at a Time (PDF). 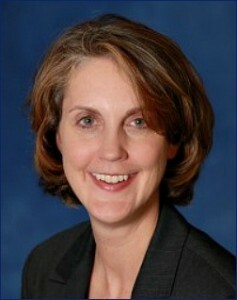 Here's a brief interview with Lisa Ramshaw, Mayo Clinic's first Social Media Silver Fellow. Many have participated in Mayo Clinic's Social Media Residency Program and quite a few have completed the Bronze Fellow requirements. To date, only one person has achieved Silver Fellow status.